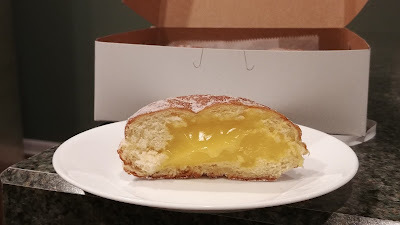 We were very near Bethel Bakery last weekend, so of course we took the slightly roundabout way to where we were going so we could stop in the bakery and buy paczki. Lemon, raspberry, vanilla, and apple cinnamon. Yum! Saturday Dinner Out was at Cafe io. SP ordered his usual (branzino) but I tried something new: the Crab Cake Sandwich. 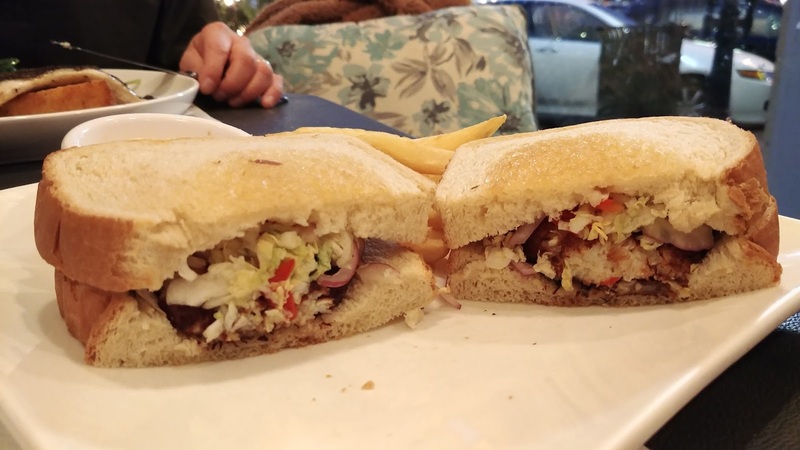 It was "Pittsburgh" style with cole slaw and fries on it, but I asked for the fries on the side. 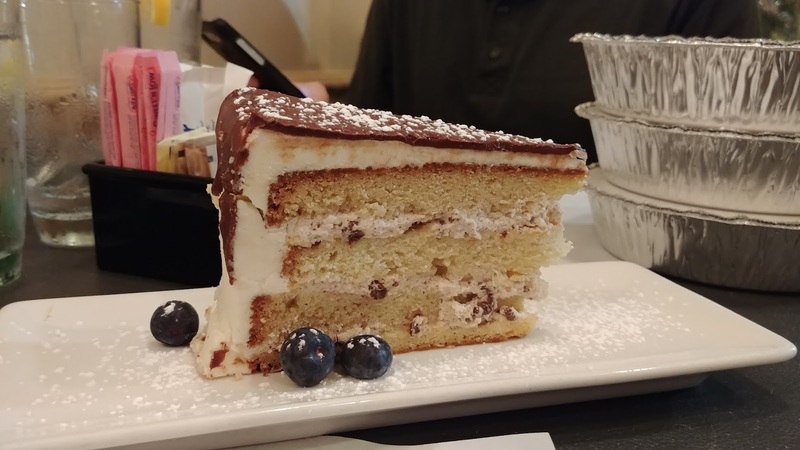 They also had a Cannoli Cake, which we decided we had to try. The ricotta-cinnamon between the sponge cake layers was so good. We watched The Mountain Between Us which wasn't awful, but wasn't great, wasn't just about survival, wasn't just a love story, had a slightly lame ending, and was a mildly entertaining movie on a rainy evening when we were stuffed from dinner and not terribly interested in much on TV. We're recording The Alienist on TNT but we haven't started watching yet. I started recording and watching Restored by the Fords on HGTV. It's set in the Pittsburgh area. I missed the first few episodes so I'm hoping to catch them as reruns. I requested a few library books, but nothing right now. Still working on the magazine pile.